kreachr's little corner: School is back!! The boys are out of my hair for the day, my house is clean and tidy again - all is right with my little world. Anyway, the socks were knit in Lorna's Laces Starry Night (which I believe was a special edition colourway for Yarnmarket) - the yarn was bought for me by my good yarn-mule buddy Jill in the US, prior to her trip here last year. It was gorgeous to knit with, and I have enough left for a pair of fingerless mitts I think. I also started and finished a little mini project yesterday, but its super secret for now, and I'd hate for it to leak out and accidentally be seen by the intended recipient, so I'll have to tell you about it when we've been given the go-ahead. Its really cute though! 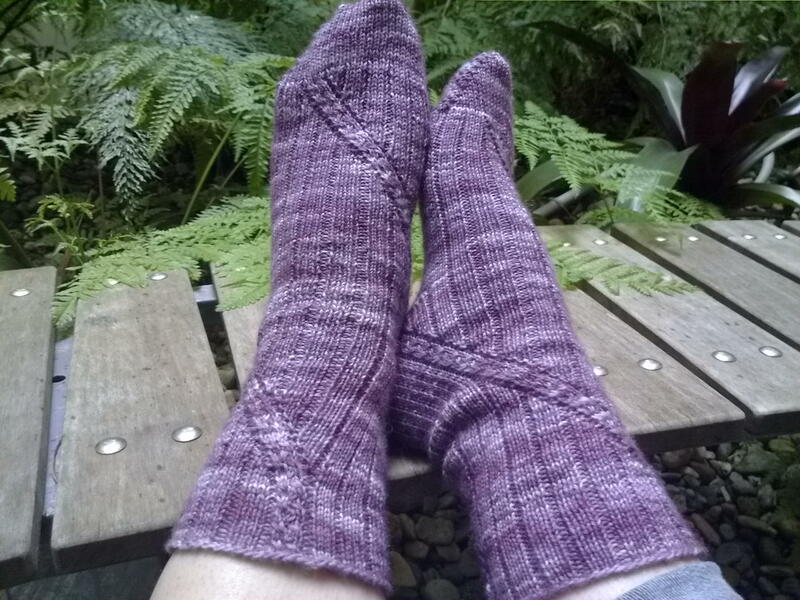 I finally managed to cast on the Optional Round socks for SM5 - Diamonds in the Fluff (Rav link) by Leslie Comstock, aka chewyknits. 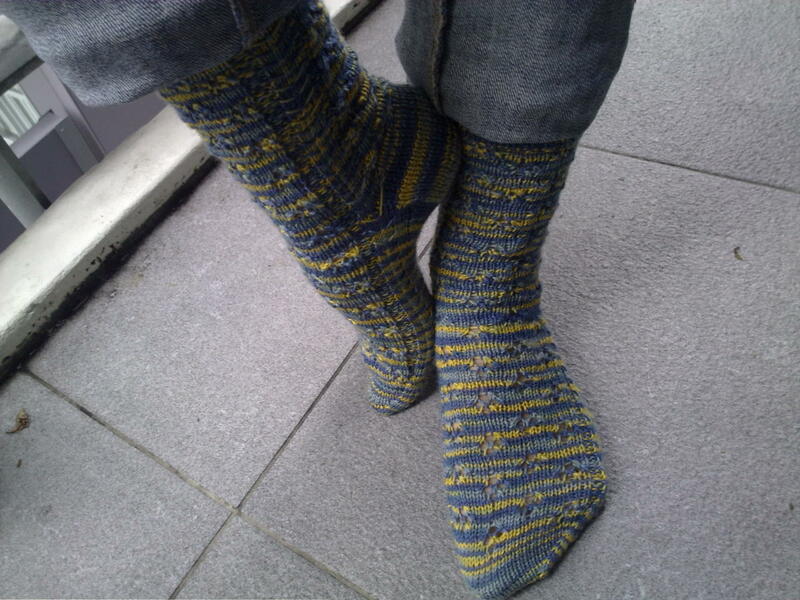 She also designed these socks, which have been in my favourites for, like, ever. I'm definitely going to knit them one day!! Another must-finish project is this little guy here - he's being made for my niece. Her birthday is coming up soon, and I think he'll be perfect! Knit in pink of course ;-) And a yummy green. Well, it's nearly 11am here, so I still have plenty of time to knit before I have to pick the boys up from school. Oh, how I love school!! And rainy days :-) Have a good Monday everyone! I've just found you! Love your blog...wish I were more dedicated to my own blog...maybe you will inspire me! Good luck with your blog - I'll go check it out!